Bread is something you eat. It is money you spend on household needs to strengthen yourself and your family: needs like housing, vehicles, entertainment, education, taxes and office expenses, personal items, and health. Seed money, on the other hand, is what you sow. It is designed to go into the ground and produce a harvest at a future time. The seed portion of a Prosperous Home is twofold: it encompasses both giving and saving. When things get tough financially and we’re having trouble making ends meet, many of us try to adjust our thinking. “Maybe I should give to my church or sow into something I care about.” We recognize the need to get out there and plant some seed. That’s obviously a great idea, but when we give away all our seed and don’t save any of it, we are planting only a portion of our seed in the ground. Saving is also seed. If our savings amount is zero, we are missing a valuable part of what we need for the future. If we live on 100 percent of our income and give 0 and save 0, are we living within our means? According to the world, yes. We are living on everything we earned, and the money coming into our households is enough to support our spending. But for the Prosperous Home, the answer is “no.” If our living, giving, and saving percentages are 100, 0, and 0 (nothing is given away and nothing is saved), we have no seed going into the ground; we have only bread. All of us need to know how to divide between bread and seed. If we consume a portion of our seed instead of sowing it, we will naturally reduce the amount of bread we have in the future. Bread sown in the ground will rot. 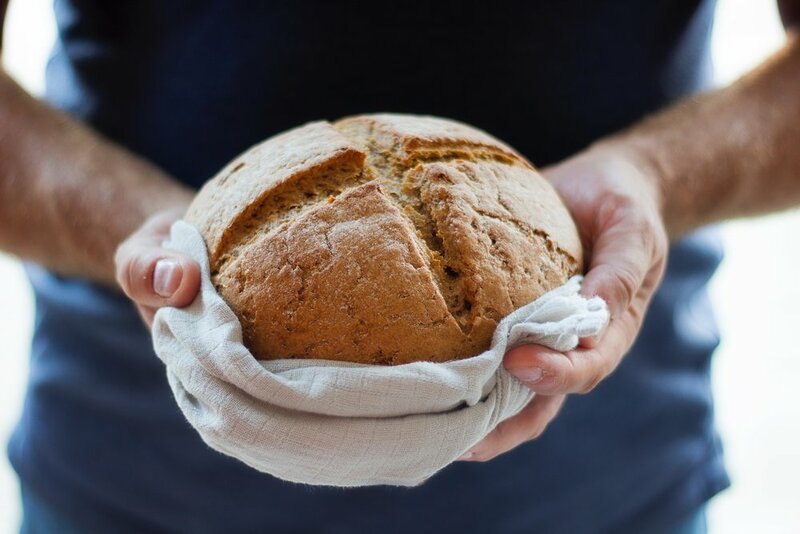 Even if we take great care with it—watering the bread, making sure it gets plenty of sunlight—nothing will sprout from an investment of bread. The apostle Paul wrote of this in 1 Timothy 5:8. Those who don’t take care of themselves and their families are “worse” than unbelievers. This is a classic Jewish idea that speaks of stability and being responsible with your home finances. If we want to build Prosperous Homes, we need to sow our seed and eat our bread. Reversing bread and seed is where the still-learning Prosperous Home can get itself into many problems. Which is better: to save your seed money or use it to pay off debt? Just as the kitchen sink has a left side and a right side, the “faucet” of your savings can be turned to the asset side or the debt side. You have the power to point your cash flow toward either one; you can increase your assets or decrease your debt. Mathematically speaking, either choice has the same effect on your balance sheet at the end of the day. But keep in mind that one element of being a Prosperous Home is financial peace. When you have an emergency fund—money saved up and put aside—you don’t have to resort to grabbing your credit card and increasing your debt the next time an unexpected expense pops up. An emergency fund allows you to put away your credit card. Giving and saving are both seed. You can sow into your life right now (this is your savings), and you can also sow into eternity (this is your giving). God bless the bread and seed of your Prosperous Home. To learn more about developing your Prosperous Home, click here.